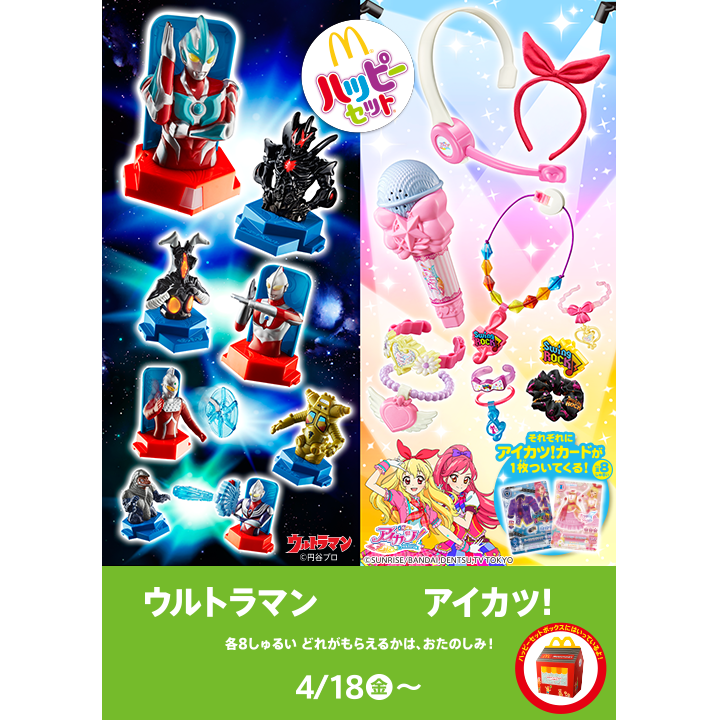 This comes up now and then in our house, since our young son prefers the "girl toy" far more often (but given a choice between Ultraman and Aikatsu, he'd probably do without). Several fast-food chains in the States have done away with gendered toys altogether, and it looks like McDonald's is starting to take baby steps in a more progressive direction, too. I seem to remember some "unmarked" Doraemon-type prize toys that Japanese boys and girls alike would enjoy, but they must be few and far between. Ok. But in Japan they don't force the kids to take a specific toy. They get to tell the cashier which one they want and as long as it's still in stock they get it. Maybe boys usually pick the boy stuff and girls pick the girl stuff, but they decide themselves. In the U.S., they don't force you to take any particular one either, but somehow I doubt there are large numbers of little boys wearing plastic pink jewelry and headbands - and even fewer whose parents would say it's okay to make such a choice.